So the NHL Trade Deadline has come and gone, and the Washington Capitals made the most of it. Truth be told, the Caps started a few days ago, acquiring Marco Sturm off waivers from Los Angeles, and then added two new pieces of the current puzzle yesterday. 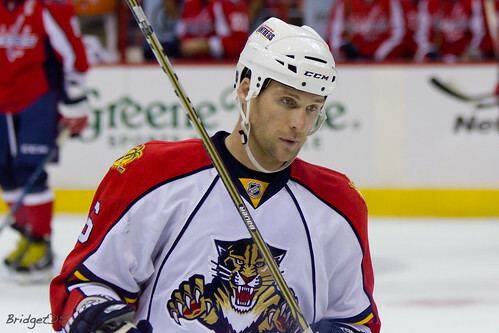 Dennis Wideman joined the blue line corps early in the day, and the biggest catch came at the buzzer with the Caps announcing the acquisition of center Jason Arnott from New Jersey. Do the Caps believe they’re ready for the post season with these three players? Caps management seems to think so. Let’s break it all down and see if we agree. Sturm’s had a rocky year so far, missing his first 32 games this season recovering from a knee injury, tearing both his ACL and MCL during last year’s playoff run with Boston. 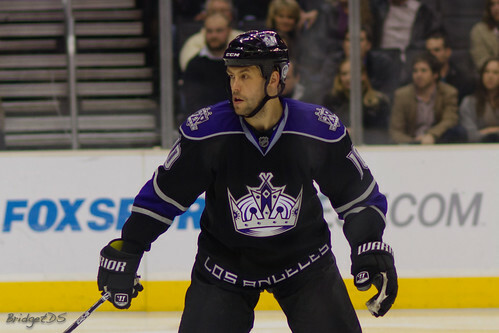 He was traded to the Los Angeles Kings and still missed 5 more games before finally playing. In his 17 games this year, he’s collected four goals (9 points) and 17 penalty minutes. Sturm’s a presence on the wing, to be sure; this season aside, he’s been consistent in scoring with 20+ goals in each of his last 7 full seasons. Over his career, he’s knocked in 238 goals (475 points) and 415 penalty minutes during the regular season and 8 goals, 19 points in the playoffs. “When I heard he was coming here I was super excited because he’s a great player, a good skater, good defensively, can score and a great teammate,” Matt Bradley told the Post’s Katie Carrera. Sturm skated on a line with Marcus Johansson and Alexander Semin during yesterday’s practice. It’s a pretty sure bet Sturm will find a lot of time on the Caps’ struggling power play. His presence may well be the shot in the arm needed to reignite the flagging special teams, provided his health improves and he regains his prior form. Considering the Caps got him for practically nothing – they put DJ King on waivers before sending him down – it’s a low-risk, high-reward opportunity. The first of General Manager George McPhee’s moves yesterday, Wideman was acquired from division rival Florida in exchange for prospect Jake Hauswirth and the Caps’ 2011 third round draft pick. Wideman’s a seven-year veteran who’s racked in 9 goals and 33 points this season for Florida, across 61 games. He’s what many consider to be an “offensive defenseman,” a blue liner who spends more time moving the puck forward and on the point in the power play. Similar in playing style to Mike Green – who will be out for the next few weeks after getting clocked over the weekend against the Rangers – Wideman will definitely find himself on the Caps’ first power play line. Consider, however, that Wideman isn’t a stellar blue liner in his own zone. His greatest asset is his puck work. “I hope to fit right in with what they’re trying to do there,” he said in a conference call yesterday. “I think my game, and what I’ve tried to bring to teams that I’ve played on, is good breakout pass, a good first pass and [the ability to] jump into the rush whenever I can.” Wideman will join Green and developing talent John Carlson as more forward-minded d-men. With the Caps much more focused on team defensive play, this might be a good thing. This type of player is better able to take advantage of turnovers in the neutral and defensive zones, thus creating more offensive opportunities without sacrificing the net. More offense is definitely needed with this team, so it’ll be interesting to see how it plays out. But most importantly, how Wideman’s presence could potentially boost the power play squad. The last-minute, end-of-the-day acquisition of Jason Arnott from the Devils was the realization of a rumor that had persisted for a few weeks. Actually, since the All-Star game in mid-January. Back then, the Devils were barely functioning, just beginning what has turned into an epic come-from-the-cellar run that may just slip them into the playoffs. But before that run, Arnott looked to be the center a lot of Eastern Conference teams wanted – rumors had him going to Pittsburgh, New York, Carolina, and of course, the Caps. The only question was, how much was he really worth? With the Devils’ amazing play of late, the price for Arnott slowly went up. The big centerman had a no-trade-clause (NTC) with New Jersey, after all, and would need to waive it before a trade would be possible. And with Jersey suddenly a possible playoff contender, Arnott made noise that he might stay with the team. Unless, of course, a deal came across that was too good for Devils’ management to pass up. The Caps have been in dire need of a second line center for a while, a player with size, playoff experience, and some on-ice leadership qualities. Arnott provides all three. The 36-year-old, 6’5″ 220-pound center has logged 1,161 NHL games, including 106 playoff games and a Stanley Cup. He’s a solid mass on the ice and aggressive, as his 1,208 career penalty minutes attest, and can score goals – 369 of them in his career, along with 501 assists. It’s a no-brainer this is a center the Caps were in need of. In return, the Caps sent along to New Jersey Dave Steckel and the team’s 2012 second-round draft pick. “I think we’re gaining a little bit of experience, guys that have been through the wars,” said Boudreau. “People don’t think of it, but we’re a pretty young team with a lot of young guys that haven’t been in situations like this.” Acquiring Arnott’s presence and leadership can only help, even if he’s not on top of his game as in years past. Arnott’s netted 13 goals (24 points) so far this season and hasn’t been in perfect health lately. But even so, he’s got an on-ice presence that can help command the Caps’ younger line and possibly generate more offense. His big body will only help in the crease as well, something that the Caps have sorely lacked, Mike Knuble’s persistence as a goalie nuisance aside. The Capitals this morning are not a favorite per se for the Cup this spring. Instead, what seems to be fair to say about their newly re-engineered lineup is that, given decent health among the prized core, they are likely a seriously tough out this postseason. In this salary cap era of conspicuous parity, that’s really all you can ask for. It’s quite the spot-on assessment. McPhee did what deep playoff teams of late have done at the deadline – pulled in the players that best fill the gaps that have sprung leaks over the course of the season. For the Caps, the power play has been less a leak and more a ginormous hole. With Wideman’s trade yesterday and Sturm’s waiver-wire grab on Saturday, that crack looks to have been patched. It may take a week or two for the special teams to really start clicking, especially with Green out for a bit, but if all cylinders start firing consistently, watch the power play to start generating goals. As for Arnott, it’s definitely a rental player move. A good one, actually, that may well give the Caps two quality, solid lines with which to regain their scoring touch without losing their recently acquired taste for team defense. It definitely relieves the pressure placed on Johansson, who’ll most likely move down to the third line. Overall, it was a good day yesterday for the Caps. Does this automatically vault them into the Stanley Cup Finals? No. But it does realign them back into contention once again. We’ll start seeing the pieces fall into place tonight as the Caps take on the Islanders. Think of it this way – the Caps, to this point, have been a misfiring V6. After yesterday, McPhee just upgraded them to a V8. With some streamlining and tweaking, this team’ll be racing into the postseason full tilt – and back on the road to the Cup once again. And around here where sports failures are commonplace, that’s something to get excited about. Great move to pick up Arnott!